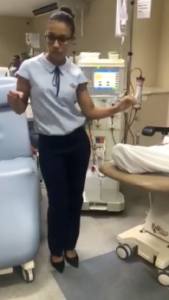 Brazilian Hospital Staff Has Patients Dancing During Dialysis & The Video is Too Sweet. When you’re really sick and worried about your health, keeping your spirits up can prove an impossible task. It’s not surprising, then, that many dialysis patients struggle with feelings of sadness or depression as they go through treatment. The somber, quiet atmosphere pervading the inside of most dialysis centers doesn’t exactly help, either. That’s what inspired one facility to do things differently. 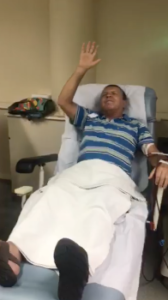 Most days at the Clínica Senhor do Bonfim, a private dialysis clinic near Salvador, Brazil, patients eagerly look forward to the moment staff start playing music… because that means it’s time to dance! 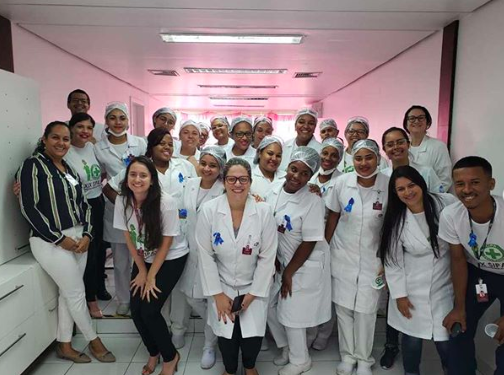 In an adorable video recorded of one such session, medical staff can be seen putting on a “Pisadinha” dance for their patients, who join in from their seats with huge grins on their faces. 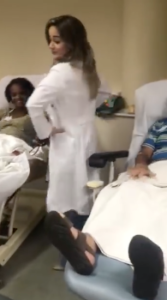 These impromptu dance parties have become so popular that patients won’t stop asking about them on days the clinic doesn’t put them on. It’s not hard to see why they love it so much — just look at their joyous faces! 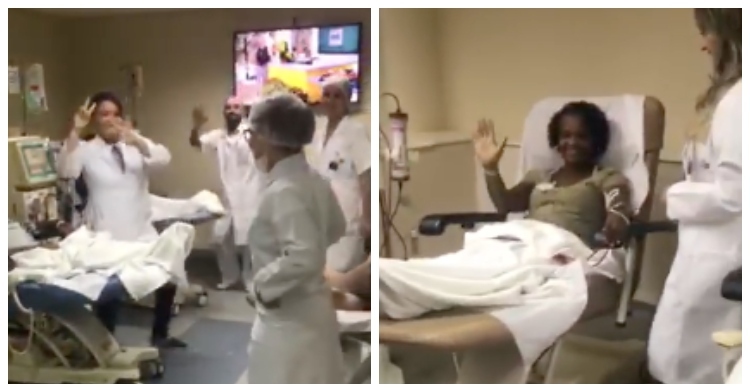 After the footage was uploaded to Facebook, it garnered thousands of views and hundreds of comments praising the center for brightening up each patient’s day. “Awesome. Just look at those smiles,” one commenter wrote. “Love it! This shows how much these nurses make a difference to these patients. Congratulations you are awesome and keep making the difference,” another said. One person summed it up quite nicely, writing, “the world needs people like this, from human professionals with this extraordinary heart of love. We couldn’t agree more. Kudos to everyone at the clinic for giving their patients a reason to smile during the most difficult time of their lives. 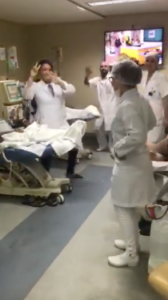 Watch as staff and patients bust a move in the clip below, and share to spread the joy.